Systech has believed that we must build an organization that brings wins for all its stake holders – our customers, employees, partners, vendors and the society. Founded in the year 2006, Systech Infovations is a part of the Systech group which has its roots in the year 1992, when the global IT eye had started looking at India, both as a market place and as a resource. All through the two decades since inception, Systech has believed that we must build an organization that brings wins for all its stake holders – our customers, employees, partners, vendors and the society. More importantly, we have believed that the organization we build must be able to win not just in today’s environment but be prepared to face the challenges of tomorrow as well. In this process, our business model is always aligned with the interest of our customers. Benefits of a focused strategy coupled with constantly improving execution is what Systech is about today. The summary is that they have eventually helped us create new markets, cross new borders, offer innovative services, open new business avenues and sustain an all-round growth. As we prepare to build the next generation Systech in the vast opportunities presented to us by this environment of rapid change, we are guided by four simple trends in the market that we operate in. It is our constant endeavour to help our customers succeed. Customer Success means lower costs, higher revenues and customers’ customers feeling happier. Hence we align our contribution to our customers on these parameters. Our domain consultants with their broad experience, innate knowledge of business rhythms of customers and the technological possibilities, help customers make the right choices. Within Systech every new idea that we invest in has to pass the filter of customer need, before investing on it. Innovation is necessary to growth whether it is satisfying new customer needs or creating new revenue streams. Innovation is mandatory to stay ahead of competition. Innovation is indispensable to create higher value for customers. In fact innovation is the basis of not only success, but survival as well. Innovation is emphasized in the organization at every level. This is because you cannot leave innovation to chance. In our business continues to be a major source for innovation. We continuously map new technologies coming into the market and proactively invest in technology and skills. For instance we successfully identified the mobile technology even as our manufacturing customers were contemplating to capture data on shop floors by the semi illiterate labor force. As a corollary where we believe that a technology will add value to our customers, we will invest – ahead of time. It is indeed an inherent strength that we will continue to nurture. Innovation is the engine that creates value. Execution Excellence is the engine that delivers value. These are fundamental tenets that have meaning only when seen as continuous pursuits. Our relentless quest to create value for our customers also has moved both vertically and horizontally. While we developed solutions for specific customer verticals we also expanded our offerings horizontally looking at new domains as we saw the value it can bring to our customers. Vision has to be believed and strategies born. A cornerstone of our Vision is to be amongst the top 10 ERP Product companies from India. To achieve this vision we have pursued the strategy of becoming a comprehensive solutions provider to all the IT needs of our customers. Our continuous pursuit of creating higher customer value, combined with the ground level nuts-and-bolts ability to execute our strategy gives us the confidence that we will achieve our Vision and continue to participate in driving a fundamental change in the competitive landscape. Systech Infovations is headquartered in Coimbatore,Tamilnadu, INDIA which is also known as the Manchester of South India. We are also represented by our network of partners in India and emerging economies across Africa and Middle East. The Strength of our Quality initiatives is sustained at the level of organizational and individual practice – for that is what matters. The sustainability of Quality at every scale is driven by a rigor which combines flexibility with consistency. Our platform of robust and highly scalable processes have driven the rigor to the level of practices. Our success wouldn’t have been possible without the contribution of each and every member or our team. Headed by Mr.P.Sakthivel, our team is an ideal mix of technological acumen blended with a great detail of functional knowledge that has brought smiles on the faces of our customers. 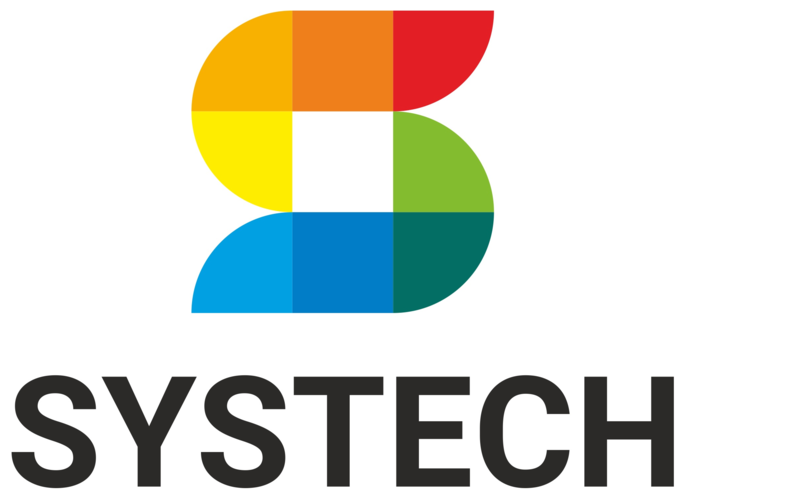 As Systech adjusts to meet unprecedented opportunities and the consequent challenges in the coming years, the team’s dynamism and dedication keep them highly optimistic. Systech ERP, our flagship ERP Suite offers end-to-end solution for automation, integration and optimization of your business processes. Systech ERP adds immense value to specific vertical segments such as Manufacturing, Textile, Trading, Service Providers and Hospitality,etc. Verticals – Textile, Manufacturing, Value Added Trading, Jewellery, Printing and Hospitality. We also offer Services that include data migration & integration, Custom made Solutions, Application development , mobile apps and consulting. Leveraging on the group’s already existing clientele base of more than 4000 from the small and medium businesses and our leadership status, Systech Infovations is positioned to address the niche market delivering domain specific IT solutions to the enterprise customers through our high value ERP Products and Services. Creating substantial values Systech Infovations will serve to increase this positive leverage. We have a team of 50 plus people that is committed, we kept faith in them and empowered them through thick and thin. The question is that if we are attracting the best talent and keeping the talent challenged and contemporary. That we can only be as good as the talent that taps our keyboard is stating the obvious. This has spawned a series of innovations in compensation, development and bonding with the organization. Performance linked compensation a variable pay program was one such initiative to align company performance with employee compensation. Keeping the talent contemporary is an on-going process in Systech. We attribute our growth to our company’s founder Managing Director and Chief Executive Officer Mr. Mohankumar Ramaswamy, whose leadership has turned Systech into what it is today. He is an Electronics and Communication Engineering Graduate with a quest for excellence and has been quick to take any new technological developments and the first to introduce it. Innovation and systematic executions with robust processes has always been his key strengths. He draws inspiration from various business leaders and derives values such as unyielding business ethics of the TATAs, aggression and dynamism of the Ambanis, team spirit led by NarayanMurthy, Passion of Azim Premji and the gentleness of BharatGoenka. Given the person he is no surprise that success has come his way and there are many more to come in the future. Latha K.Mohan a technocrat and a first class engineering graduate is our Executive Director who spear heads the human resources department. She makes the winning team at Systech through her wealth of wisdom and her initiatives in people practices. With her teaching background in a reputed Engineering institution she creates the right experience and guides the learner in building knowledge. She has helped built a common culture at the core of which are our values, that deeply bind our team that is spread across locations and across multiple businesses. Mr.S.Ramesh Babu, our Technical Director has been the Chief Architect behind our Products and Technology. Being a sheer intellect and an Engineering Graduate with a 2-decade experience in Java Technologies, his marvel is reflected across our offerings. He is based out of Maryland, USA who synchronizes and works with our development team back home, in India.